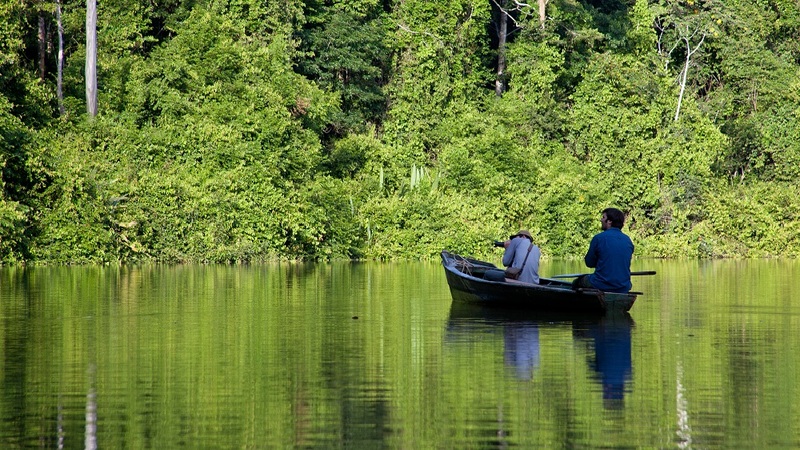 Located five hours by road and river northwest of Puerto Maldonado, or a two-day boat trip from our Villa Carmen lodge, Los Amigos is situated where the Los Amigos and Madre de Dios Rivers converge. 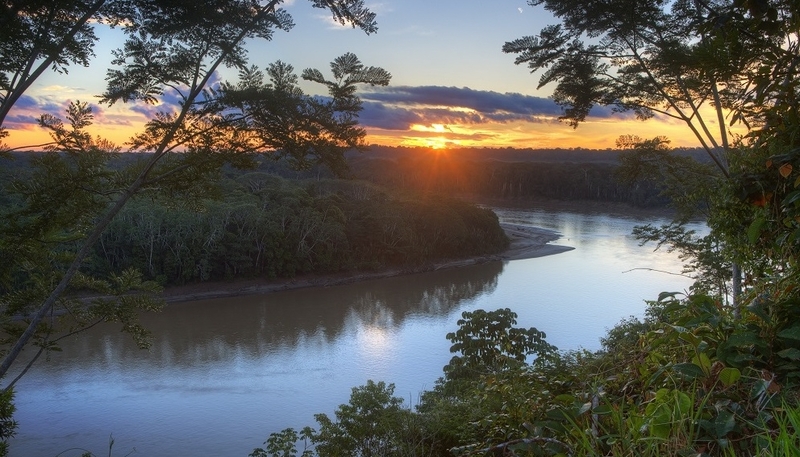 Adjacent to the Los Amigos Conservation Concession, with world-famous Manu National Park to the west, Los Amigos is part of a watershed that includes millions of acres of protected wilderness in southeastern Peru. The landscape is a mosaic of terrestrial and aquatic habitats, including palm swamps, bamboo thickets, oxbow lakes, and various types of flooded and non-flooded forests. Wildlife is abundant, including 12 globally threatened species and abundant Amazonian fauna including giant otters, harpy eagles, spider monkeys and jaguars, with over 550 birds on the bird list. 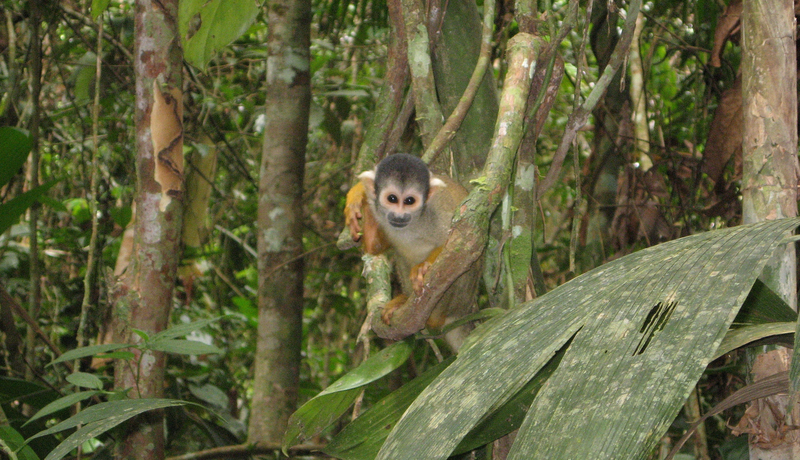 The area also contains 11 species of primates. By way of comparison, all of Costa Rica holds only four. 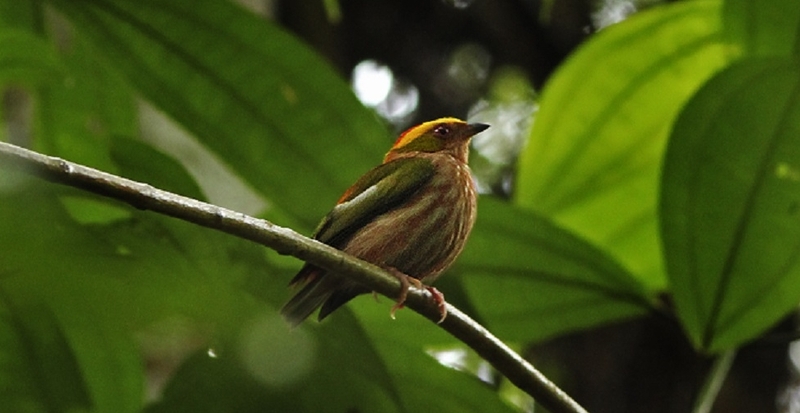 Get ready for some serious birding, with species such as Pavonine Quetzal, Rufous-fronted Antthrush, and the Pale-winged Trumpeter. 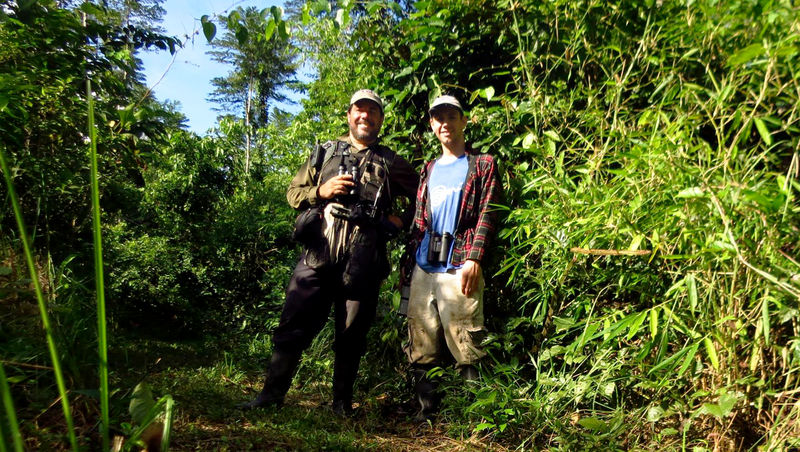 A whopping 308 birds were logged here at the 2015 Global Big Day! 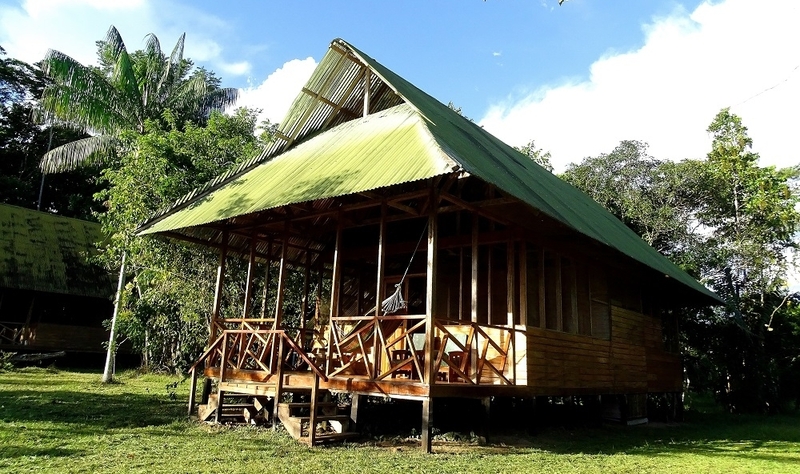 Los Amigos is our most remote location and features 7 cabins with basic accommodations: comfortable beds (your choice of single or double) with mosquito nets, private bathroom, luggage and clothes rack, a deck with hammock or lounge chairs, and 24-hour solar powered electricity. The dining hall has a lounge area for reviewing bird lists at the end of the day. Limited internet is available from 7:00 a.m. to 9:00 p.m. in common areas. Smoking is prohibited indoors. Los Amigos is not handicap accessible; there is a staircase of over 100 steps from the boat dock up to the lodge facilities, paths are fashioned from a variety of materials including loose gravel or dirt. Physical limitations should be considered when contemplating hikes or other excursions. Meals include local, fresh Peruvian cooking with ingredients from the kitchen garden. If you have special meal requirements (vegetarian, gluten free, etc.) please inform the reservation staff prior to your arrival to the station. Given the location of stations, it may be difficult to accommodate all dietary preferences and the variety of food may be limited. 2018 Prices: Cabin with private bathroom: $115 per person double occupancy; $160 single. Prices include three meals a day, access to trails, and taxes. All in-country transportation will be arranged, including flights, shuttles/other vehicles, and river transport by boat, as necessary. A 20% administrative fee will be charged for these and other logistical services performed in service of your trip. Our staff in Peru will meet you at the airport or dock to ensure a smooth next leg of your trip. 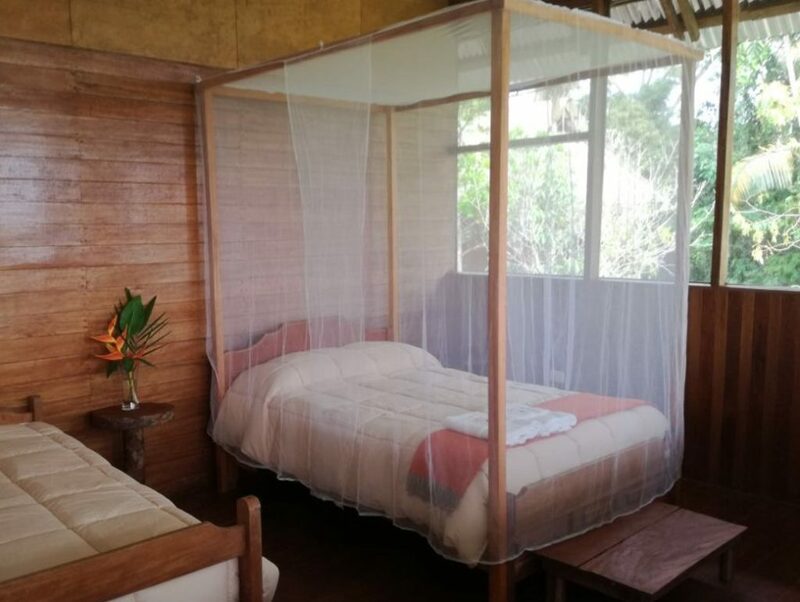 Los Amigos is located five hours by road and river from Puerto Maldonado, or a two-day boat trip from our Villa Carmen station (with a stop over at Manu Wildlife Center). From Puerto Maldonado, a shuttle can pick you up from the airport or your hotel, and take you on the 45 minute drive to the port town of Laberinto, where you will board a boat for an almost four-hour trip up the Madre de Dios River to Los Amigos. If you are coming from Villa Carmen, a shuttle takes you to the port town of Atalaya, where you board the boat for Manu Wildlife Center where you stay one night, then continue your journey to Los Amigos the following day. We can arrange for the ground and boat transportation for your trip. 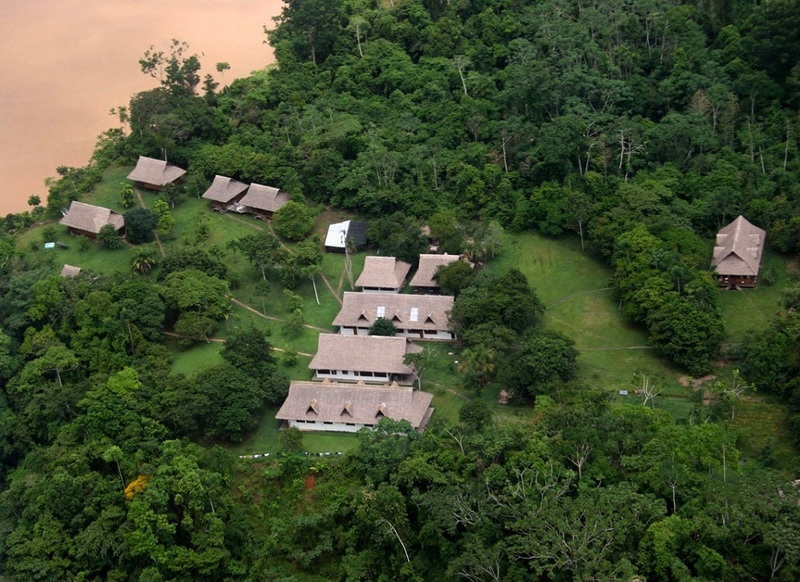 The best time to visit our three lodges is May through November. At Los Amigos, mean annual temperature is 73° F, with the daytime temperature generally in the high 80s. There are occasional “friajes” or cold fronts that bring cooler temperatures June and July. The rainy season is roughly December through March. During the rainy season, expect drenching rains. We highly recommend that a guide accompany you throughout your trip. Please let us know at the time of your reservation if we can arrange one for you. Visiting Los Amigos should be done at your own risk. You should schedule an appointment with a travel clinic at least four to six weeks prior to travel. We encourage talking with your doctor to decide what is most appropriate for you given your health history. We also encourage you to take precautions against leishmaniasis. Though there have been no known reported cases of yellow fever or malaria at Los Amigos, you should make the decision that is right for you regarding vaccination and medication. Please see more information on our Traveler’s Health Info. 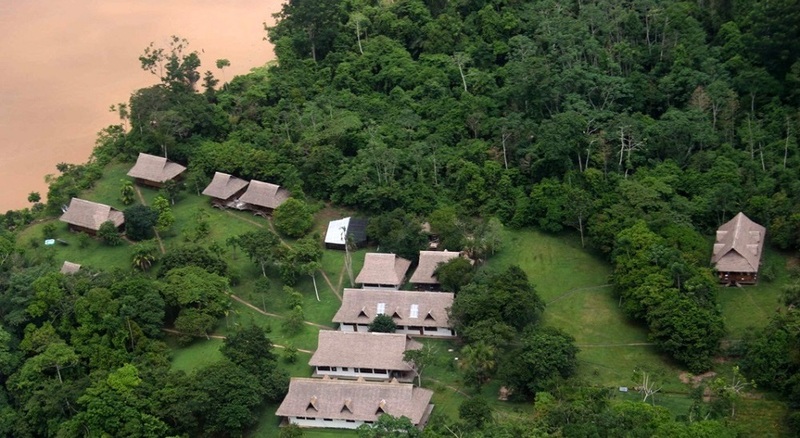 My backyard in the Peruvian Amazon held more than 500 species in an area the size of Central Park, and I could not extinguish the blazing thoughts of the species I would encounter that day. We were not disappointed! Without even trying to run up a list we enjoyed ~300 species of birds (plus another ~30 heard-only-or-not-seen-well-enough-to-count species), and 20 mammals (of which ten were primates)! Among those many species were some significant regional specialties, rarities and spectacular creatures.